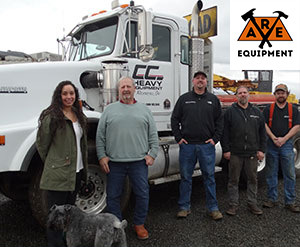 About Us | CC Heavy Equipment, Inc. of Rickreall, Oregon. We are loggers who know the industry. We can relate and understand your needs specifically. We specialize in affordable alternatives to new equipment. Good solid used equipment that can get your job done at a fraction of the cost. We listen to your needs then guide and counsel you. No high pressure sales, our low key approach is to connect you to the right equipment at the right price. Almost all the business we do generates repeat customers and referrals. What makes us different is our experience of over thirty years in the timber industry. We are able to help you match the right equipment to your job. We offer great values and pass along the best deals for you, so you get the most for your money. We closely inspect every machine, and disclose true condition as accurately as possible. Let us handle your consignments. We can usually get you more for your machines than you could get on a trade in. Our Equipment List is over 100 machines; give us a call if you are looking for something. 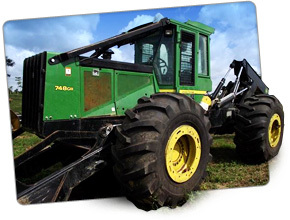 CC Heavy Equipment specializes in timber industry equipment with over 30 years in the business.